SP3D is the most innovative 3D solution that is widely used for latest configuration, improving quality and efficiency while shortening plans for a project. It is the only framework that provides interoperability and information properties of CAD models, making it ideal for the joint projects. 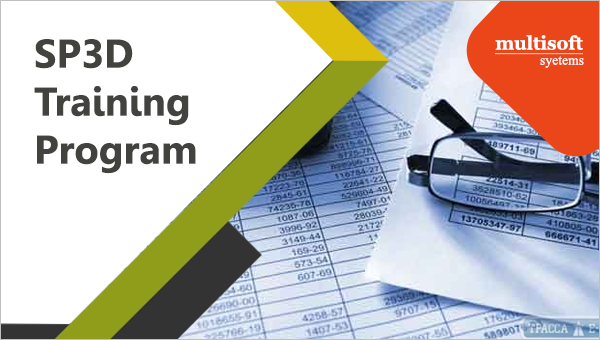 SP3D Training program is well intended to help you gain the sound knowledge for the implementation of design projects in petrochemical set ups, power plants, food manufacturing units and oil and gas industry. The training program will make you familiar with the tool and techniques that are required in piping and designing. The understanding of using SP3D is beneficial for detailed planning for activities like Petrochemicals, Oil and Gas, Food and drink, Power plant, Pharmaceuticals, and various other segments like general, electrical, and instrumentation. This will helps in checking the members on the basics, piping modeling, support elements, etc. It enables the pipe designers to examine and design structures with the help of its flexible displaying environment. It has a wide scope in Manufacturing plants, car building, concrete industry, mining Industry, power segment, steel, Hydraulics, Petroleum, Biotechnology, etc.